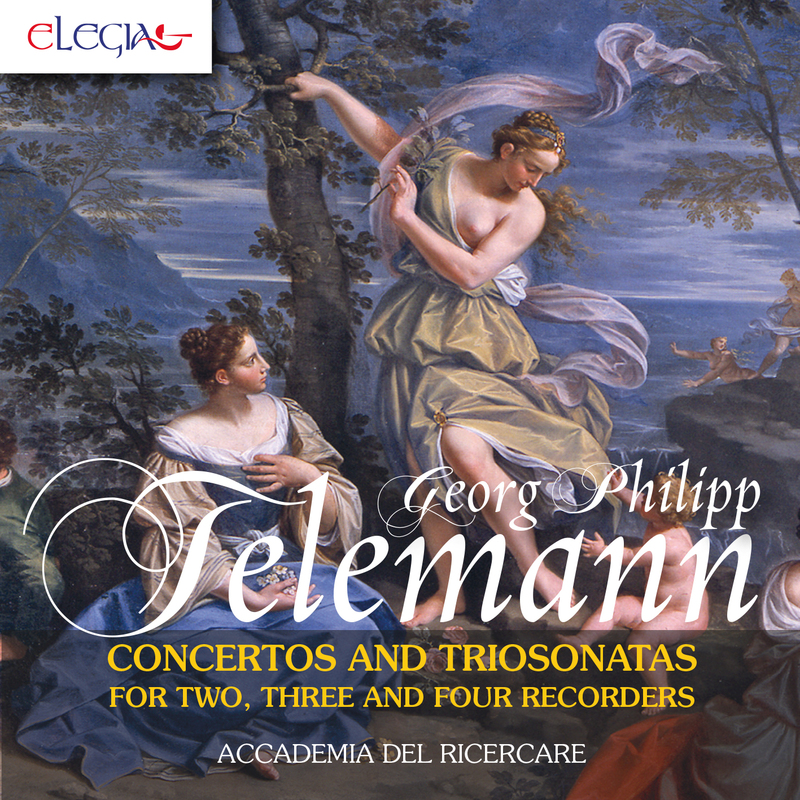 Despite his endless discography, Georg Philipp Telemann is always able to pleasantly amaze with his huge production, most of which awaits to be discovered. Among the skills of the Magdeburg’s composer, stand out a natural talent for the tune and an amazing ability in expressing himself in all the important styles of his time, moving from Corelli’s musicality to the sublime refinement of the French eighteenth century, without neglecting the traditional polish and bohemian elements. This CD focuses on his chamber production for more flutes and transverse flutes, suggesting, next to three quite famous pieces from Tafelmusik and Der getreue Musik Meister, many unknown tracks, but not for this reason less fascinating. The main stage belongs to Introduzione per due flauti dolci e basso continuo, that in barely 13 minutes outlines with mastery five great ancient women, from Santippe to Clelia, closing with Dido. Accademia del Ricercare is the leading actor of this recording: it is an original ensemble, that with this beautiful CD makes its debut with Elegia Classics. Transcription for four recorders and B.C. Lorenzo Cavasanti (a), recorder and flute - Manuel Staropoli (b), recorder and flute - Luisa Busca (c), recorder - Mattia Laurella (d), recorder and flute - Antonio Fantinuoli, cello - Claudia Ferrero, harpsichord.